Having a bit of wanderlust in a one's soul is good thing at times. Among the gifts of the wanderlust is the boundless curiosity that connects an overheard story with a desire to go and find the place from the conversation. One of these adventures led me to the North Florida community of Vernon recently in search of an old Church called Moss Hill. There are many historical aspects of Moss Hill Methodist Church that are of significance. 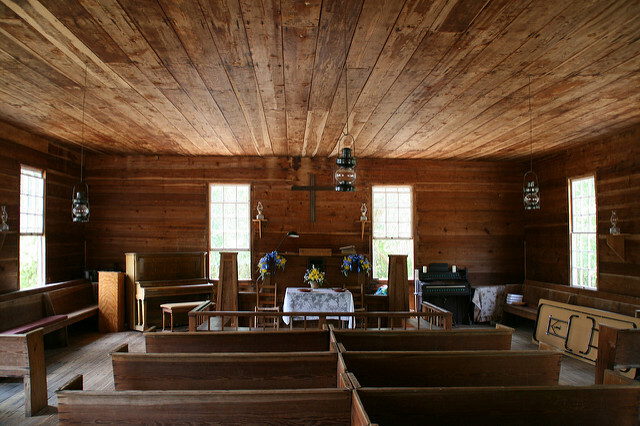 It is old pine wood structure built with slave and freed labor in 1857. The single room building feels like an old-fashioned rural schoolhouse from another century with unpainted outside walls weathered to dark patina. Inside the simplicity continues, casement windows with original glass, no electric lights, handmade benches and other details showing the craftsmanship of the past. It is the wood that draws your attention, especially the wood of the ceiling. Staring upward you can gaze backward in time for on each board above you there is a hand or foot print placed there back in 1857. 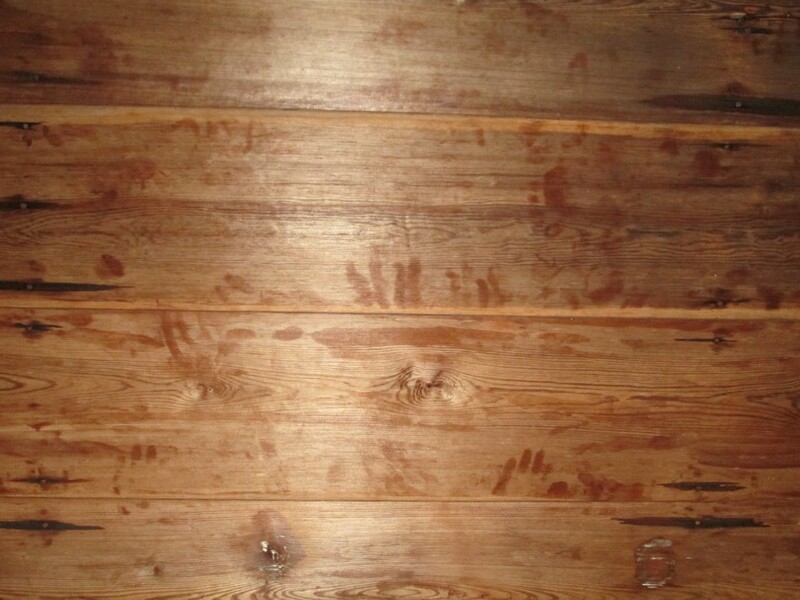 During the work on the Church the newly milled lumber sat beneath a warm Florida sun with the consequence that sap covered the surface of each board. Handling the sticky wood must have been frustrating, but the result was a snapshot of the men, women, children and even animals that touched the wood over 150 years ago. No one has discovered the reason for the prints to have been preserved in this unique manner but no matter the mysterious origins they lie there for visitors like us today. Consider visiting sometime, services are held on the 2nd and 4th Sunday of each month except December. The pastor at each service is a visitor so you can't predict what kind of service you will encounter but you can be certain of one thing, you will be welcomed by everyone and the first hymn is always "Church in the Wild Wood". To learn more read the Word Doc or PDF of E. W. Carswell's excerpt about Holmes Valley Early Settlement Days.